A country within a country, Lesotho is completely landlocked by South Africa and yet so different. Known as the Mountain Kingdom or Kingdom in the Sky it offers a host of experiences from mountains to valleys and rivers that present unforgettable panoramas for tourists. The country is relatively small, especially in comparison to South Africa, and has a land area of approximately 30, 555 square kilometres, making it similar in size to Belgium. But despite its diminutive size Lesotho is beautiful, culturally rich, safe, and cheap and traveling from South Africa it is easily accessible from Durban and Johannesburg. Lesotho can be compared to an alpine country where villagers travel on horseback in multi-coloured head gear and blankets. A place where hiking and trekking is world-class and the infrastructure of the four national parks continues to improve. In this Kindom in the Sky, the lowlands sit at 1000m and are the scene of quiet Lesotho life, with good craft shopping around Teyateyaneng and the capital, Maseru. But for those looking to experience something special, be sure to head inland into the valleys and mountains, where streams cross a landscape resembling an ancient dinosaur playground. Lesotho is a country of extremes, Thabana-Ntlenyana which lies in Lesotho stands at 3,482m, and is the highest mountain in Southern Africa, while the highest single drop fall in the Southern Africa is Maletsunyane at 192m, having the highest abseiling cliff in the whole world at 204m. 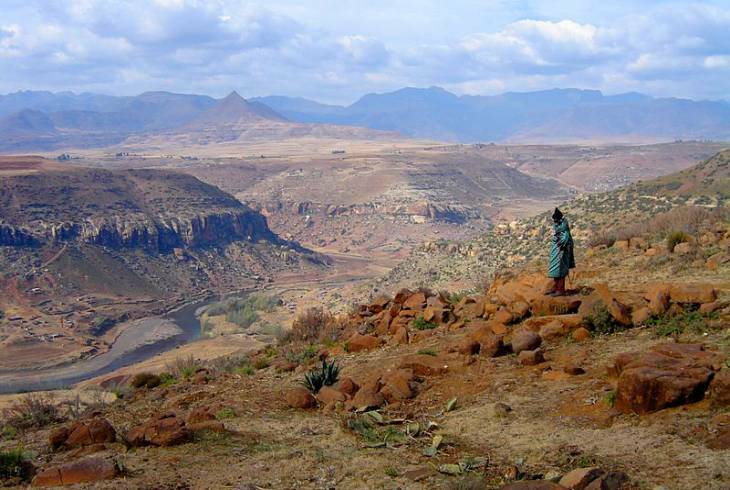 Visiting Lesotho is definitely classified as genuine adventure travel. Just as much of the beauty of Lesotho is understated, so is the hospitality of its people. Visitors can go pony trekking on one of the Basotho ponies in the early morning breeze, take in the stunning mountain landscapes and scenery, watch traditional life in a place that upholds a unique balance of the old and the new, laze around and soak up the sun and in the evening dine out or enjoy an ethnic meal around people who are sure to become new friends. Lesotho is also home to the Lesotho Highlands Water Project (LHWP) which is a multibillion Maloti bi-national water resources development and management initiative that was established in a treaty signed between the governments of Lesotho and South Africa in 1986. The aim of the project is to harness the water of the Lesotho, constructing massive dam walls, diverting the flow and transferring water to South Africa to meet the industrial and domestic water needs of the Gauteng Province, while simultaneously providing hydropower for Lesotho. The project is seen as the largest and most ambitious civil engineering project in the whole of Africa.